Nobita wed shizuka future. 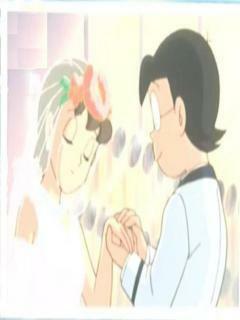 Its a movie image.NOBITAS NIGHT BEFORE WEDDING.Nobita goes to the future to see the wedding with SHIZUKA. Wallpaper and background images in the Doraemon club tagged: nobita shizuka doraemon movie.